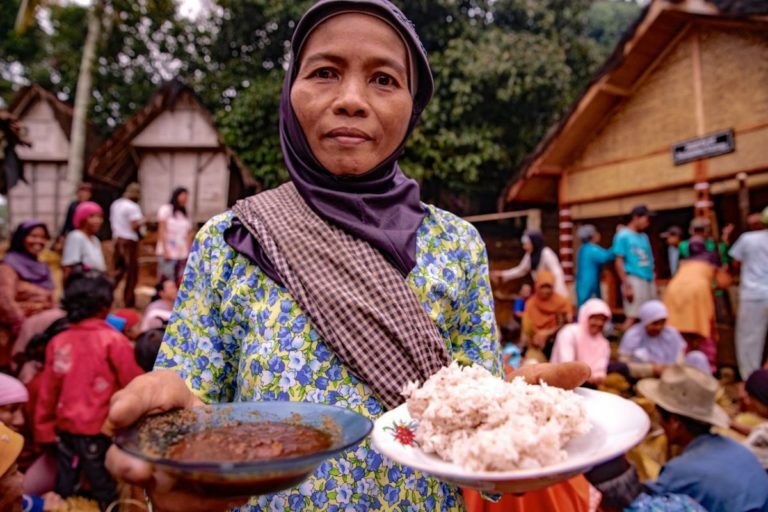 The indigenous Kasepuhan community in Lebak, Indonesia, is one of the lucky few for whom the government has recognized their rights to the lands they have occupied for generations. Now, local youths are hoping to attract visitors from nearby Jakarta and boost coffee production as a means of creating jobs at home. LEBAK, Indonesia — “This forest is no longer a state forest.” The sign is one of the first things you see when you reach the Karang customary forest area in Lebak district, a few hours by car west of Jakarta, the Indonesian capital. For Salim, the sign, which has stood there since 2016, means vindication after a 15-year campaign for customary land rights. After years of uncertainty, he now feels a sense of independence. “For as long as I have lived here, there has been a name for these forests handed down from generation to generation,” he said. Successive governments repeatedly redrew the boundaries of the Karang forest as the world’s largest archipelagic nation evolved from colonial outpost to reforming democracy. Until 1934, under Dutch occupation, this territory was protected within the erstwhile Halimun Salak area. In 1963, post-independence, then-President Sukarno declared it a nature reserve. The government under his successor, Suharto, opened it up to production under the management of Perum Perhutani, a state-owned forestry firm founded in 1972. In 2003, five years after the fall of Suharto, Salim’s land was included in Mount Halimun Salak National Park. He says those new restrictions raised anxieties in the community. People would tiptoe around when bringing produce back home from nearby coffee, fruit and rice fields, avoiding the mantri, or rangers, who might ask for a bribe or, occasionally, bring criminal charges. Farming activities in the village. Image by Donny Iqbal for Mongabay. In 2012, Jaro Wahid, a leader of the local indigenous community, began compiling information to hand to the government. The change meant that Salim and the rest of the community here were granted stewardship of 96 hectares (237 acres) of forest. The remaining 3,900 square kilometers (1,500 square miles) of forest cover remain off-limits. In Karang, and many communities like it, people here see a correlation between land rights and welfare. Data collected by RMI-The Indonesian Institute for Forest and Environment, an NGO, show two-thirds of residents in the village of Jagaraksa have only a sixth-grade education, and less than a quarter finished junior high as required by law. Four out of five people here work either as farmers or laborers, where day wages are the norm and productivity and protections are low. Engkos spent a year in the capital before returning home. Now he and around a dozen friends are hoping the cooler air and flowers of the red meranti tree (Shorea leprosula) will draw visitors to Karang from the city. This past November, the young people were preoccupied with the upcoming coffee harvest. Engkos was holding classes covering upstream farming methods and downstream processing activities. Traditional food in the community. Image by Donny Iqbal for Mongabay. At the end of 2016, President Joko Widodo’s administration recognized the rights of nine indigenous groups to more than 130 square kilometers (50 square miles) of customary forest, including nearly 5 square kilometers covering the Karang forest in Lebak. 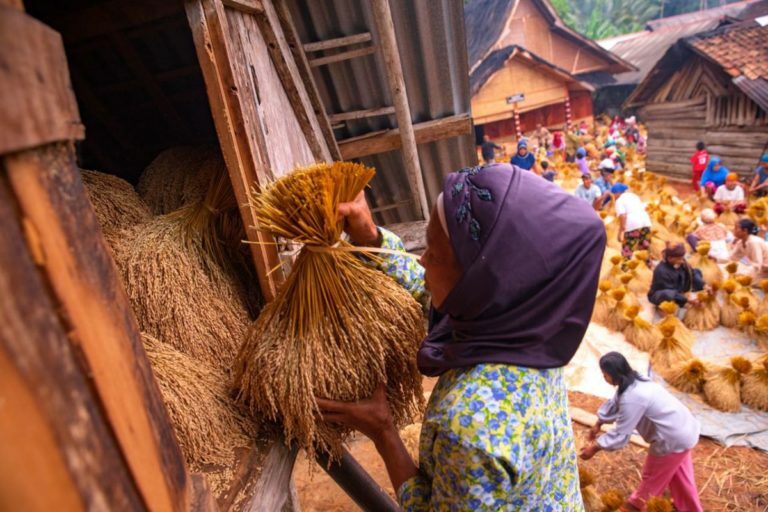 Conferring additional rights on Indonesia’s indigenous communities forms part of the government’s wider strategic policy goal of issuing land deeds to millions of Indonesians. Widodo, who is running for re-election this April, says the government has already distributed certificates for 27,000 square kilometers (10,400 square miles) out of a planned 127,000 square kilometers (49,000 square miles) of land. And officials say around 12 million individual certificates have been issued in the past two years. But opposition candidate Prabowo Subianto has opposed the policy, arguing that it could backfire in the long run as streetwise buyers exploit those with new land certificates. In a house made entirely from wood, Salim shows me his customary land certificate. “We are calmer and happier,” he says. Jaro says many of the traditional customary rules will remain in force. A traditional zoning regulation in Karang marks the local spring as a sacred area; trees in the Kayuan Mountains cannot be cut down; the steep inclines at Lamping Awian must be kept populated with dense vegetation to guard against landslides. An alchemy of national, local government and indigenous laws now governs this place. This story was reported in part by Mongabay’s Indonesia team and was first published on our Indonesian site on Dec. 3 and 4, 2018. Banner: Two young men wearing traditional clothing in Lebak. 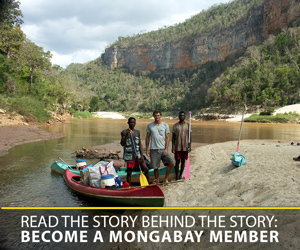 Image by Donny Iqbal for Monagbay.